Welcome to Wichita for an exciting week of basketball and celebration. Everywhere you look, there are countless activities and endless opportunities of fun for all ages from delicious food, drinks and games to pop-up bars and dance parties. 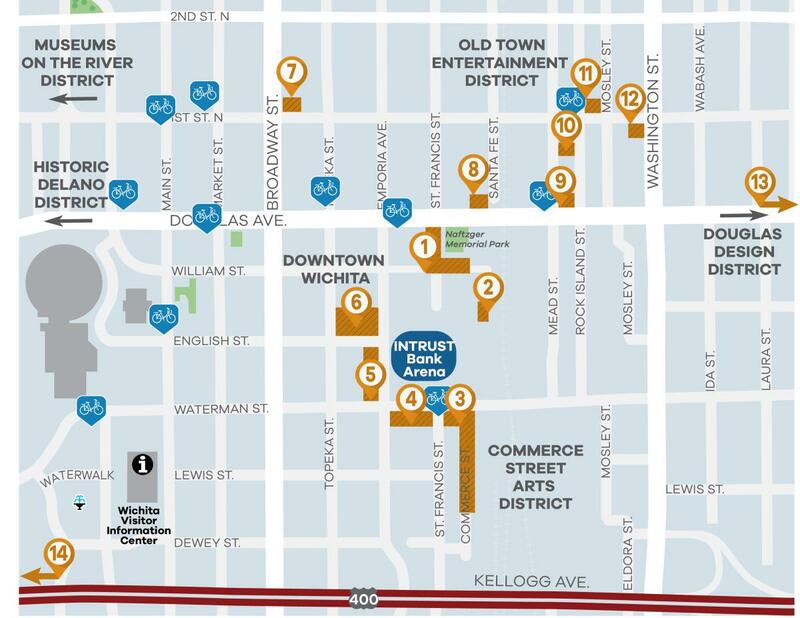 Don’t miss out as downtown Wichita comes alive. Thursday beginning at 9:30 a.m.
Tuesday, Wednesday, Thursday, Friday & Saturday 11 a.m.-10 p.m.
Wednesday 4-10 p.m.; Thursday 10 a.m.- 10 p.m.; Friday 4-10 p.m.; Saturday 10 a.m.-10 p.m. Bracket Bash – Presented by Barleycorn’s and Wichita Festivals, Inc.
Sunday Selection party 11 a.m. - 11 p.m.; Wednesday 5 p.m. - midnight; Thursday & Friday 10 a.m.-1 a.m.; Saturday 8 a.m.-1 a.m.
Wednesday, Thursday, Friday, & Saturday 9 a.m.-1 p.m.
Wednesday, Thursday, Friday, & Saturday 11 a.m.-12 a.m.
Thursday, Friday, Saturday, & Sunday 1 p.m.-2 a.m.
Thursday, Friday, & Saturday beginning at 11 a.m.
Thursday, Friday & Saturday 9 a.m.-2 a.m.